Wheeled excavators are just as powerful and productive as tracked excavators. One of the drawbacks of a wheeled excavator is that some digging depth is lost because of the height difference due to the wheels. When the stabilizers are used, though, they often better lifting power than tracked machines do. Because most of the wheeled machines have a retractable two-part boom, the lifting capacity can be increased further by shortening the boom. Some operators have expressed concern about the stability of wheeled excavators. When the outriggers are correctly used, a wheeled excavator is just as stable as its tracked counterpart. A bit more care is needed on slopes, however, because the center of gravity is a bit higher on a wheeled excavator. Otherwise, they are comparable when it comes to stability. Wheeled excavators work really well for roadside work because they are more maneuverable than tracked excavators. Zero-tail swing models can work in a single lane without any problems. They do not have as much traction off road, however, as a tracked machine. Uneven ground can be a problem for them, too. They excel in urban areas. Wheeled excavators can be used for a wide variety of applications -- scrapyard work, road work, material handling, waste handling, utility installation, just to name a few. Some owners are using them as replacements for backhoes. They tend to be more costly, but they don’t involve the long-term expenses of maintaining and undercarriage and tracked system, which accounts for a significant portion of the price for a tracked excavator. Wheeled excavator dealers encourage potential buyers to consider not just the initial cost but the long-term M&O savings involved. We’ve already talked about how the long-term costs for a wheeled excavator are less than those for a tracked model. There are other benefits, too. They can travel at a high enough speed that a lowboy isn’t needed for short distances. This makes a wheeled excavator quite a bit more convenient and reduces the need for a lowboy and CDL. Also, the wheels will not cause the damage to asphalt that tracks do. 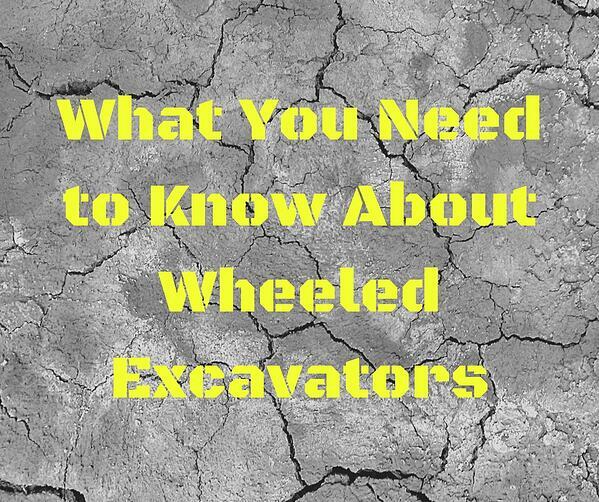 If you are doing quite a bit of work in a more urban setting, then you might want to consider a wheeled excavator. Although initially a bit pricier, they are said to save money in the long run because there is not the added expense of maintaining a complex undercarriage. These machines are stable, powerful, and versatile enough to perform a wide variety of tasks.